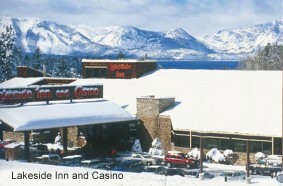 Lakeside Inn and Casino is the locals’ choice for dining, good times and gaming. With 124 lodge style rooms (with free Wi-Fi), visitors will feel right at home. The contemporary menu at The Timbers will keep you coming back time and time again. Enjoy our $3 drinks, casino action, and a lively Sports Book with great TV viewing and you will live like a local at Lakeside.